Here is étude No. 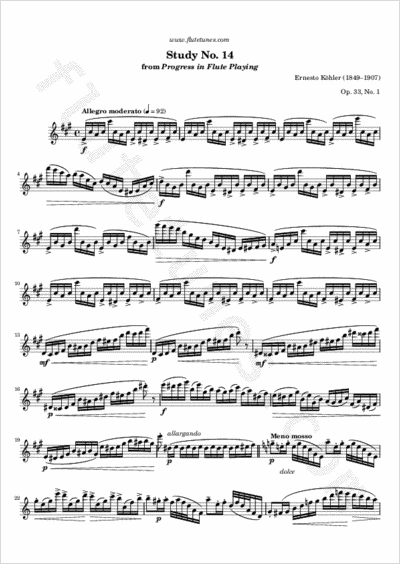 14 from the first book of Ernesto Köhler's Progress in Flute Playing. It is a study in intervals, mainly in the key of A major but with a calmer central section that starts off in C major but in the end modulates back to A major.